Get the perfect slide on the approach with the bowlingball.com Perfect Slide! This convenient dual-purpose accessory provides a smooth slide on approaches, especially in high-humidity areas. It may also be used in the thumb-hole to assist with a quicker release. 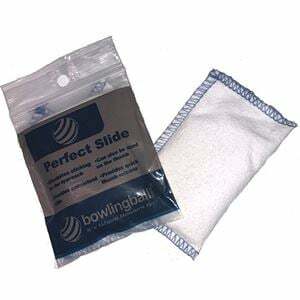 Packaged in a resealable bag to protect the inside of your bowling bag.